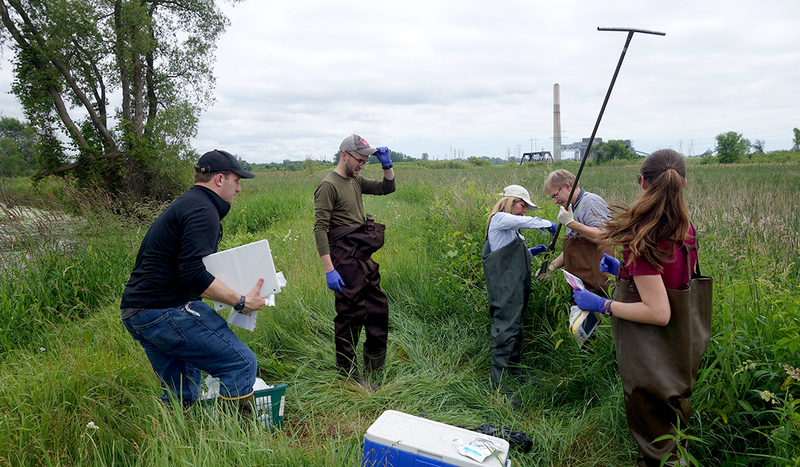 Ben, center, and officials from U.S. EPA and Michigan DEQ take sediment samples from wetlands at the Zephyr site. Last week, I joined U.S. EPA project managers from the Great Lakes National Program Office at the “Zephyr” site in Muskegon, Michigan (named for the Zephyr Oil Refinery that once existed on the property). Zephyr lies within the Muskegon Lake Area of Concern, a designation given because of the environmental degradation in its past. The EPA and the Michigan Department of Environmental Quality (MDEQ) are about to begin a large-scale remediation to clean up the petroleum and lead pollution that remains in the sediment. On my first day at the site, I was amazed to look south from the bluff to see what looked like a thriving, healthy wetland—albeit, a little overcrowded with cattails. It didn’t seem like the polluted site I’d read about, where petroleum fires were once a common occurrence or where lead concentrations are so high, remediated sediments will not be moved off site until they are treated. While the south end of the Zephyr site, near the north branch of the Muskegon River looks picturesque, it still contains contaminants and is need of remediation. But that’s the thing about legacy pollutants: They aren’t always as obvious as a bag of trash or a discarded television. Many contaminants are invisible to the naked eye. Even the visible ones can lie out of sight underwater and still pose a threat to the ecosystem, including the insects, fish, and birds that live there. The remnants of petroleum are more apparent up close. 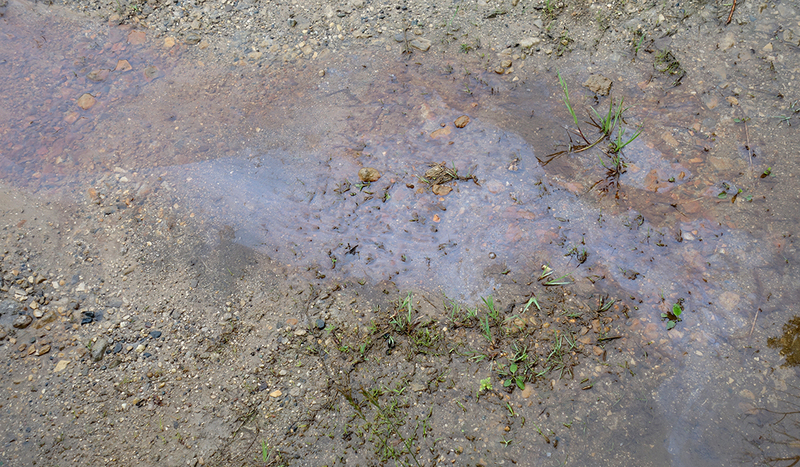 In some locations at the Zephyr site, the water in the wetlands has an oily sheen to it. At others, there is a faint odor. Despite the issues, I was encouraged by discussions with MDEQ, EPA, and their contractors about the plan of work and project design. The Zephyr site is finally going to get cleaned up! The work is being funded through a cost-share program between EPA and the State of Michigan under the Great Lakes Legacy Act. Unlike enforcement-style remediation programs, the Great Lakes Legacy Act encourages rapid remediation by offering cost sharing and avoiding blame. A project that could take decades of litigation can instead be completed in 3-5 years through cooperation. And it provides a mechanism to clean up contamination left behind by long-gone, bankrupted industries, as is the case at Zephyr. An oily sheen near the Zephyr site. From what I gleaned from the current property owner (who is not responsible for the pollution left behind by the former landowner) is that nearly everyone in the community is tired of the stigma associated with “the old Zephyr refinery.” And just because the remediation is happening entirely on private land doesn’t mean it won’t benefit the community. Sediment remediation will improve the quality of drinking water and reduce any odor or taste issues. Clean sediment will also provide better habitat for migratory fish and birds; a benefit to tourists and locals, alike. An added benefit of a Great Lakes Legacy Act remediation project at the Zephyr site is the habitat restoration set to follow. 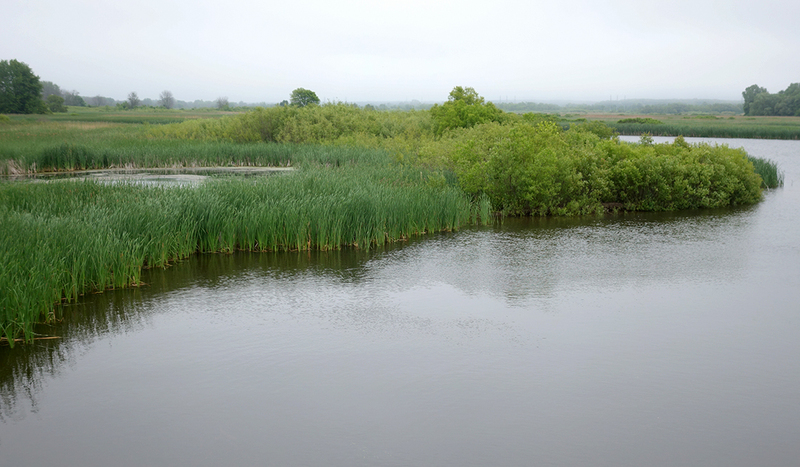 The restoration design calls for open water habitats along with native wetland plants to provide ample habitat for waterfowl and other birds, amphibians, and reptiles while also improving the existing floodplain for the north branch of the Muskegon River. U.S. EPA and Michigan DEQ officials take more sediment samples.  Remediation is tentatively planned for late fall 2016. Once a contractor is on board, equipment will brought to the site for what is called “mobilization.” Shortly afterwards, temporary roads will be constructed, a staging area will be established (to dry out the sediments before being transported off site), and excavation can commence. My first Great Lakes Legacy Act site visit was very encouraging. Being on site with the project managers, partners, and engineers allowed me to see how a cooperative project functions. I was able to see the sediment up close and understand the concerns this community has had for decades. It’s obvious that a Great Lakes Legacy Act project, or any project of this magnitude, could not be completed alone. Visit www.greatlakesmud.org for more information and updates on the project. Ben Wegleitner is the new IISG social science outreach assistant supporting IISG Environmental Social Scientist Caitie Nigrelli.